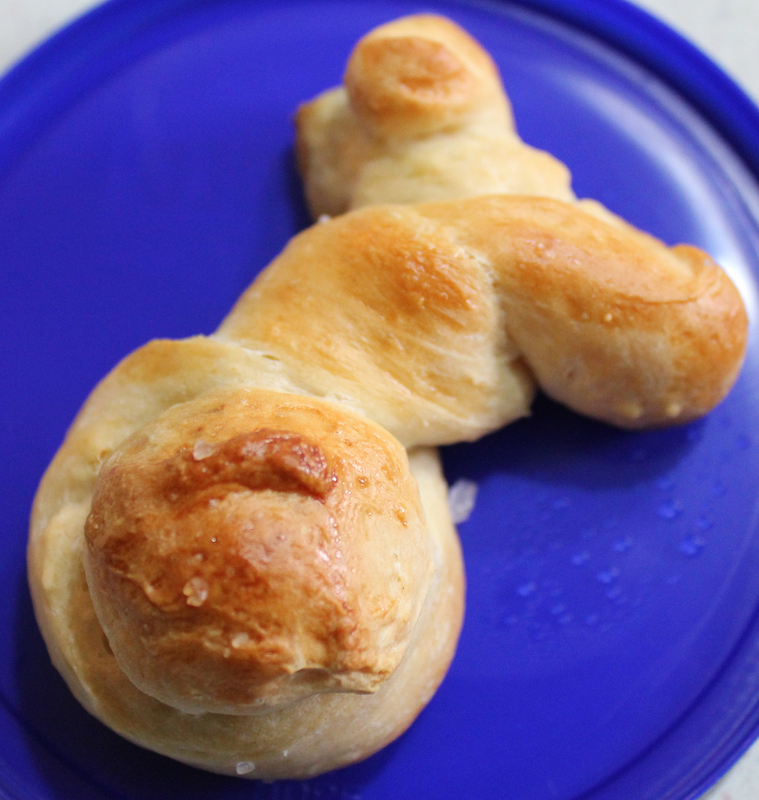 Here’s a fast and fun recipe you can make using bread dough from a tube. 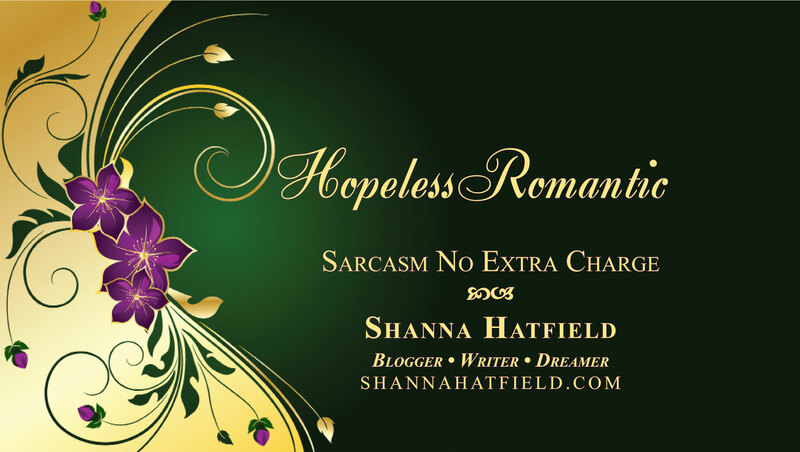 Youngsters, and the young at heart, will really enjoy these! 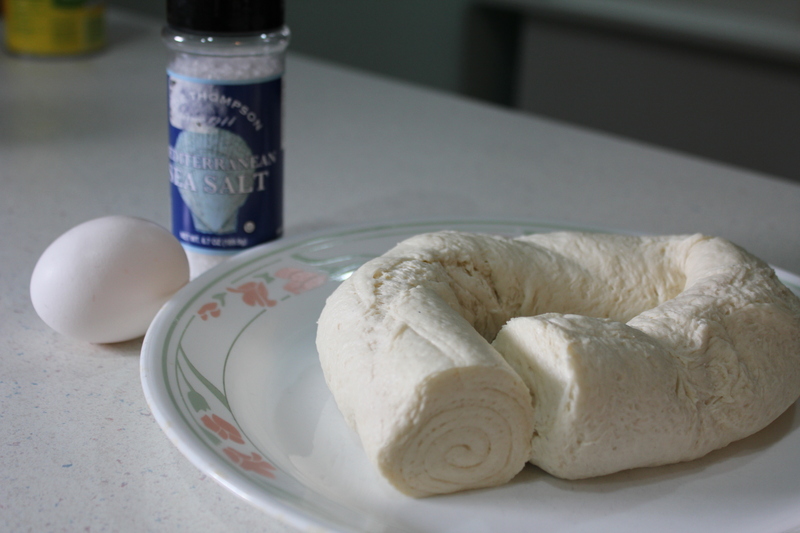 Ingredients - bread dough, an egg and salt. If you have refrigerated breadsticks in a tube they would be perfect. 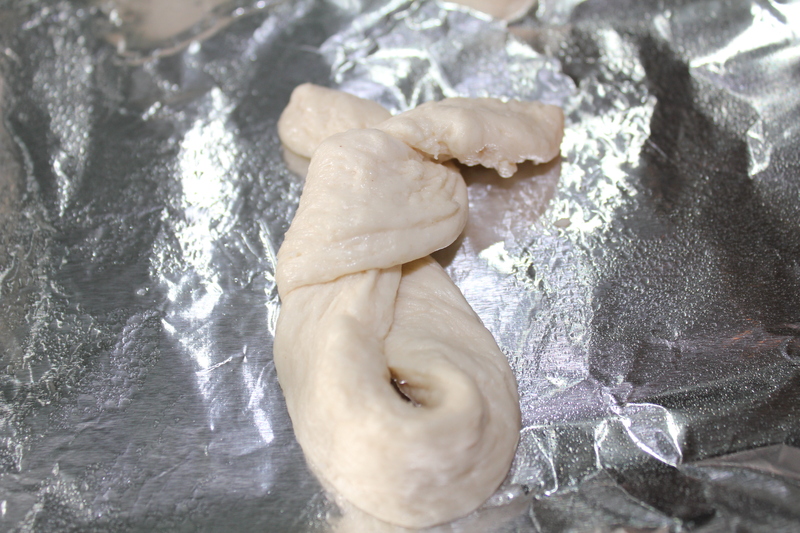 I used a tube of dough I had on hand. 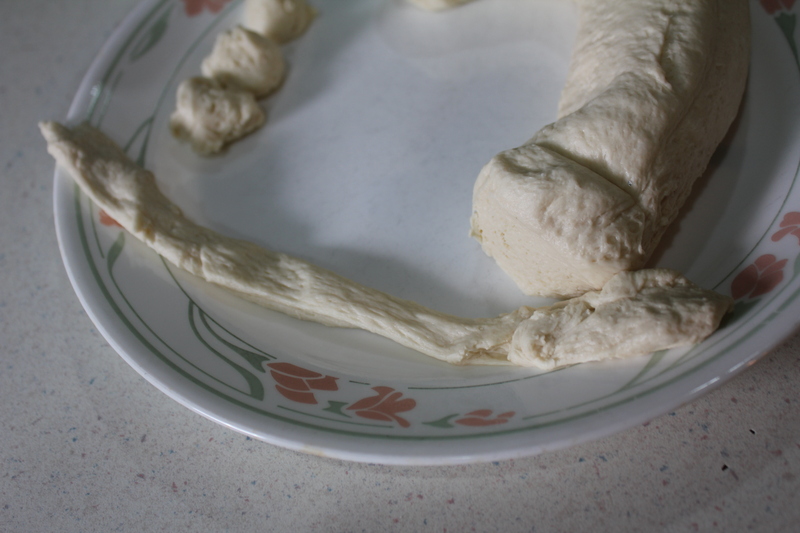 If you want to be miss Betty-homemaker, you could also use made-from-scratch bread dough. I was not feeling the Betty-ness. If you are using a piece of bread dough, roll into a log (or take out of tube) and cut into slices about 1-1/2 inches thick. 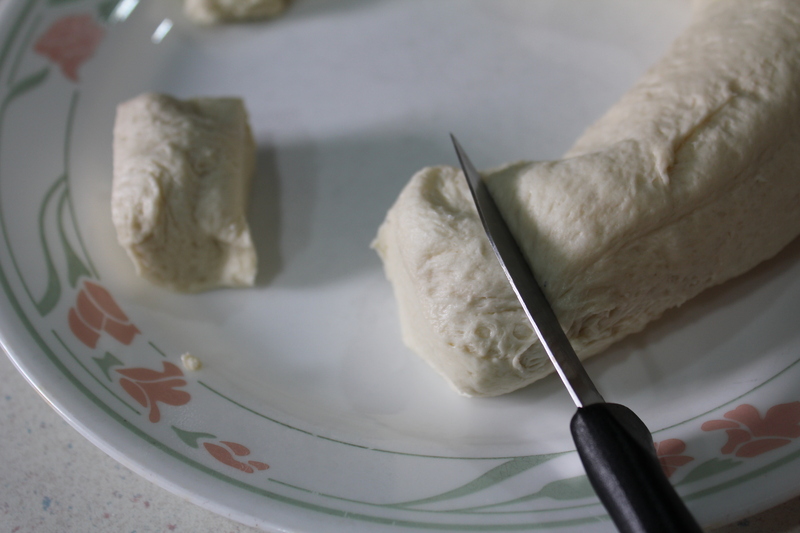 Roll slices into about a 12-inch long piece. 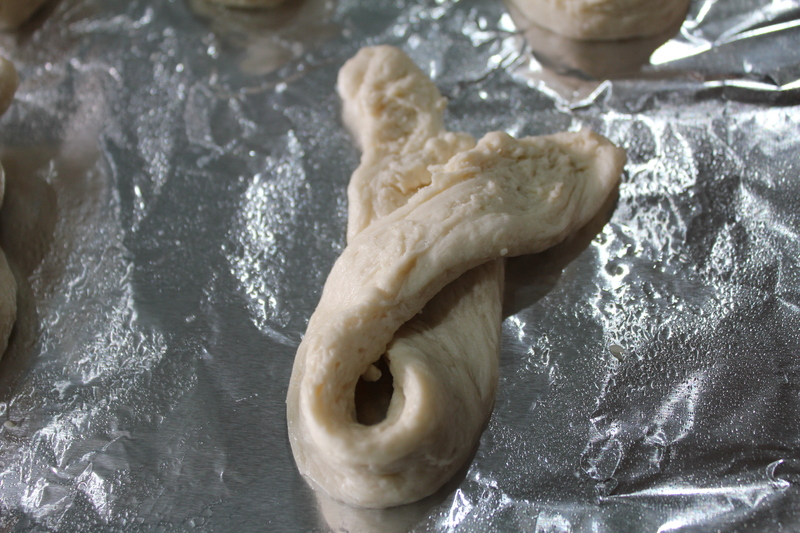 Fold in half, this forms the bottom of the bunny. Then twice to form the body and ears. 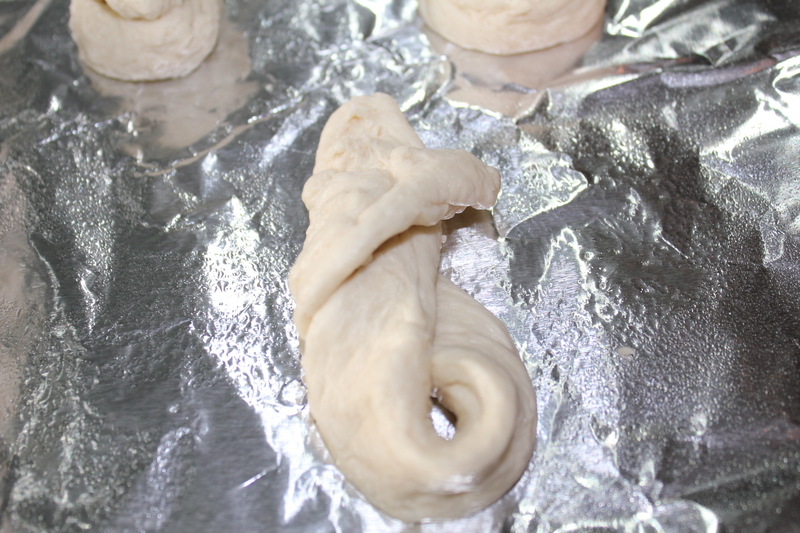 Reserve a few pieces of dough to make the tail. Just pinch off a little ball and place it in the space created by the twists. Separate the egg white from the yolk. 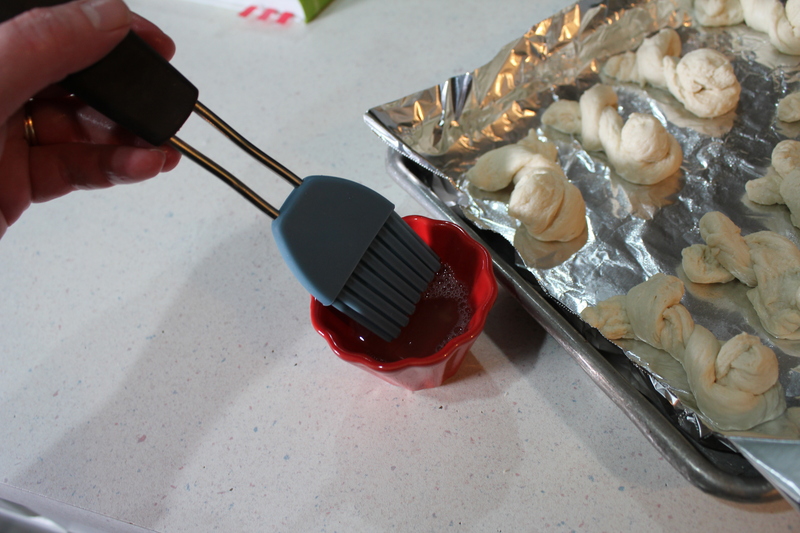 Lightly beat egg white and then brush onto bread before putting into oven. 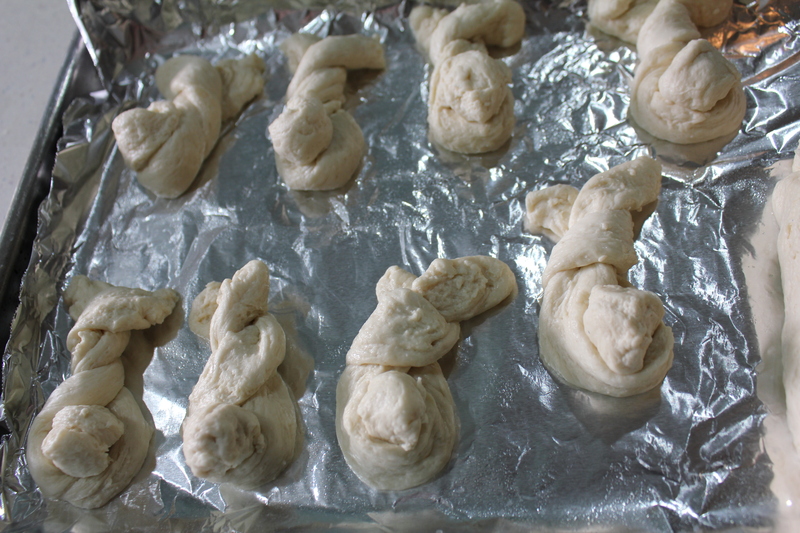 Bake the bread according at 350 degrees until lightly browned.